They are always happy to see Nancy, and with good reason. She wins first place when it comes to remaining calm under pressure. And that is no small accomplishment because Nancy's appointment schedule is always full. But don't worry, she will always find a spot for you: during her lunch time, at the end of her 10 – 12 hour day, early in the morning. She rarely says no. 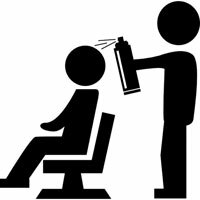 But Nancy's success is not just due to her willingness to accommodate, or her undying upbeat mood, or that she's so caring and such a good listener, she is also a great hair stylist. 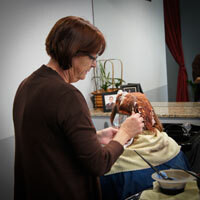 Hair color is Nancy's specialty and she excels in haircutting. 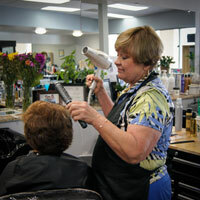 Her clientele is varied: men, women, students, professionals, retired seniors & children, all ages, all walks of life. 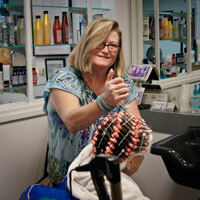 Nancy understands what it takes to be a successful hair designer and salon owner. She was owner of the Magic Touch Salon in San Marcos for 20 years and is now part owner of The Ridge along with Cindy and Dorothy. Nancy discovered that she enjoyed hairdressing by playing around with the hair of family members. She attended Deloux's Beauty School in Escondido in 1981. When she's not doing hair, she loves spending time with her family, riding her horses, skiing, or traveling. She also loves to shop and occasionally gets some alone time for a massage. Now, 40 years later, Dorothy is still having fun doing hair. Dorothy enrolled in Marinello Comer School of Cosmetology in Denver in 1971. A few years later she completed advance training with Taylor International Salons where she worked until her move to California. 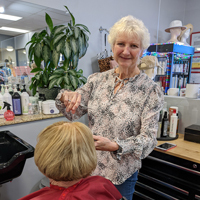 After a few years in Palm Springs, Dorothy landed in Vista in 1981 and has been at The Ridge Hair Design since September 2006. 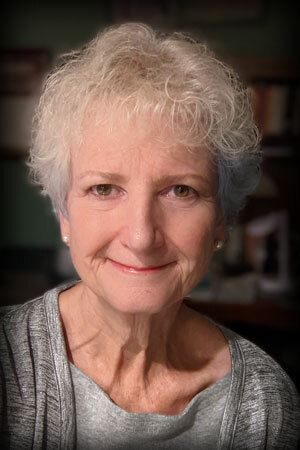 Movies, books, travel, photography, art, cats... these are a few of Dorothy’s favorite things. Inspired by her Grandmother who was a hairstylist, Cindy's career began in her childhood: "I was always cutting all the hair off my dolls." 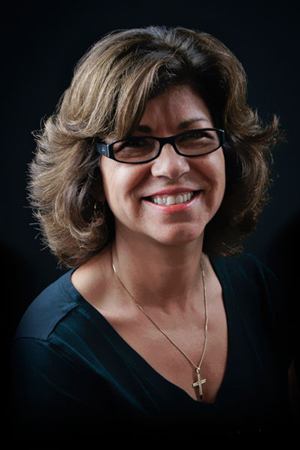 Cindy attended Deloux's Beauty School in Escondido and has worked at many salons in North San Diego County, but she's been at The Ridge Hair Design since 1992. 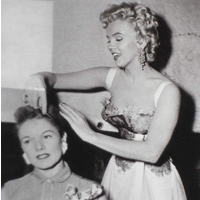 "When I can make someone beautiful and feel good about themselves, that's the best part of being a hairdresser." She enjoys working with all types of hair, but especially loves long hair. Color of any kind is Cindy's specialty: high-lights, low-lights, multi-dimensional. "Color is so much fun for me. I could do it all day." Cindy gets inspiration for styles from today's young people. She strives to stay on top of current trends in hair design and frequently attends advanced haircutting and coloring classes. 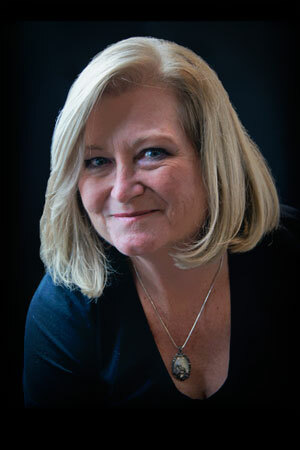 "I have learned a lot from my clients over the years. They all warm my heart." When she's not doing hair, it's all about family and spending time with her boys. And when they can, Cindy and her husband love to travel. 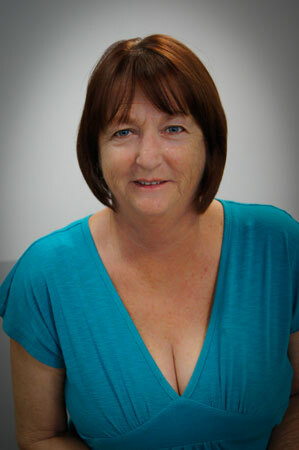 Ann enjoys all aspects of hair design, but her specialty is perming and styling very fine hair. She gets her inspiration for styles by talking to the clients and creating what is best for them and their lifestyle. 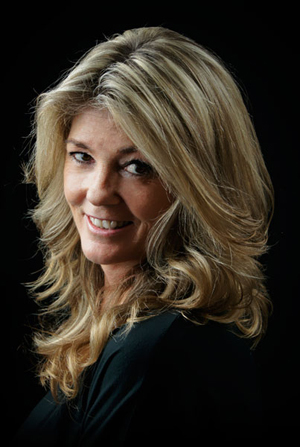 Ann, a native of San Diego County, first came to work at The Ridge Hair Design in 1992 and was the Salon Owner from 1999 until she turned over the reigns in May of 2014. 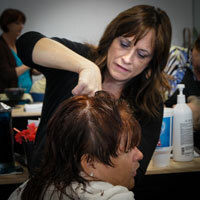 Encouraged by her in-laws who are hairstylists, she began her career in hair design in the late 1970’s by enrolling in Deloux’s School of Cosmetology in Vista. Ann loves to talk about cooking, gardening, and the grandchildren. Plus, one bonus that comes with being one of Ann’s clients are all the great recipes! 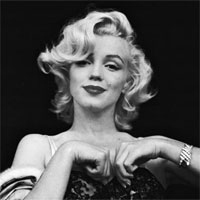 She was born Norma Jeane Mortenson in Los Angeles on June 1, 1926. And died tragically on August 5, 1962. Click here to read about her short but amazing life on Wikipedia. "Hair design is like being a bartender, it's fun getting to know clients and their families." Among the many types of haircuts Monica does, her favorites include variations of the bob, layered cuts, and men's haircuts. In fact, she considers men's haircuts to be her specialty. Monica likes creating natural looking color with high-lights and low-lights. She also enjoys giving clients natural looking perms. Going to hair shows and classes, along with people watching and fashion magazines provide Monica with inspiration for new cuts and colors. 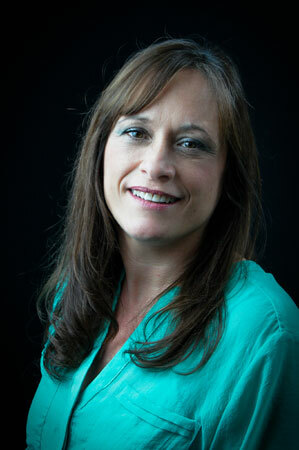 Monica is the most recent member of the team; she came to the Ridge Hair Design in January 2011. But she's been doing hair for over 30 years in Vista! She attended Oceanside College of Beauty in 1979. She loves the outdoors: walking, hiking, kayaking and tennis. Metaphysics and music are also favorite topics of conversation with Monica. And now you can enjoy a relaxing chair massage by Monica! It all began back in 1978 at the Associate Barber College of San Diego. And Julia's been working in San Diego county ever since, joining The Ridge in 2014. She got into hair dressing because she loves making people feel good and look great. And Jezek's well equipped to do just that. Julia demonstrates expertise in a wide range of hair design. She's a genius at cutting and styling from toddlers to seniors, men and women, short and long. 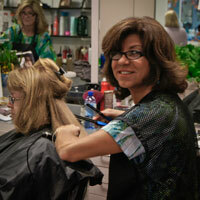 Julia enjoys doing all kinds of hair color and considers weaving to be her specialty. "I most enjoy taking a client who wants to do a big change and seeing their reaction when we are done." "My clients have been with me for a very long time. They are more my family and we share what's going on with our families." But the personal conversation doesn't begin until they first talk about their hair and what they would like. Then she'll talk about how they are doing. "I especially like working at The Ridge. Everyone works as a team. The feeling in the shop is happy and everyone gets along and the client comes first." When she's not doing hair Julia likes to go to the casino for fun. She also likes cooking and baking. But mostly she treasures spending time with her family. "I was good at fixing friends' hair. I liked it and needed a job." That's why Rose attended Oceanside School of Beauty early 80's. Rose likes to work on any kind of hair, but she especially likes doing weaves. Favorite haircuts include wedges and layered styles. She considers styling her specialty and can work miracles with a blow dryer, curling irons and/or rollers. "The reward is making the client feel pretty. I feel good about my ability to make them look and feel better. I get inspiration just looking at what's before me and making it better." 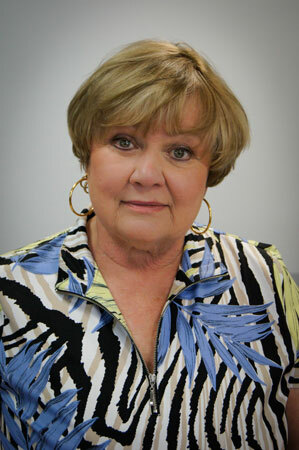 In addition to doing the work, Rose also enjoys conversing with her clients: "They are so varied! I love being connected to them, their ups, their downs, their joys. I'm happy to talk with them about anything they want." And everyone enjoys her charming Southern accent. Outside the salon Rose's favorite activities include golfing and going to movies with her girlfriends. She enjoys a nice glass of wine, a good book and her three gorgeous cats. She worked in various salons in the Vista area before landing at The Ridge Hair Design in 2014. Although her pre-hair focus was drama, Rose enjoys the "no drama" peacefulness and camaraderie at the Ridge. "A place where excellence comes together to do a good job."